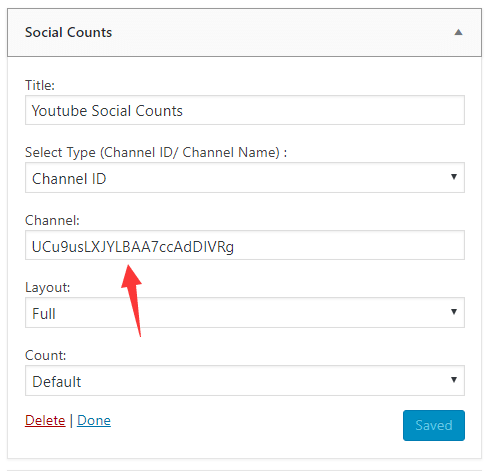 The Social Counts – Youtube plugin provides a widget to place the Youtube Subscribe Button with subscriber counts anywhere on your website. 1. Install and activate the Social Counts – Youtube plugin the way you like. 2. Login to the admin panel and go to the Appearance -> Widgets page. 3. Move the Social Counts – Youtube widget to the sidebar area. 4. Replace the Youtube channel ID and save changes. Done. Display type: Channel ID or Channel name. Count: Display or hide the subscriber counts.